It’s the holiday season and I don’t know about you, but I am pumped! And so are Hudson and Sadie. These two are non stop and can’t get enough of each other. And I can’t get enough of their coordinating holiday outfits. 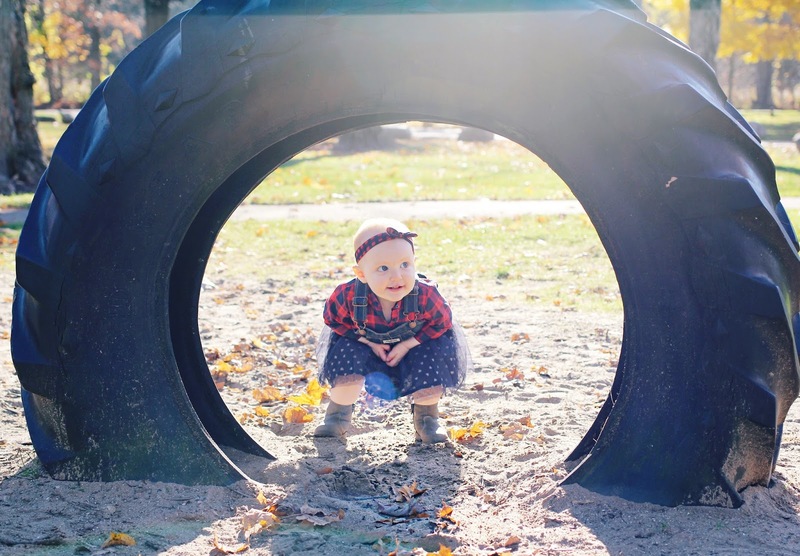 I mean….so much cute. This holiday season I’m looking forward to taking the kids to meet Santa, sending out Christmas cards, baking cookies, looking at Christmas lights, drinking hot chocolate, decorating the tree…..gosh the list goes on and on! Lately Sadie wants to do EVERYTHING that Hudson does. 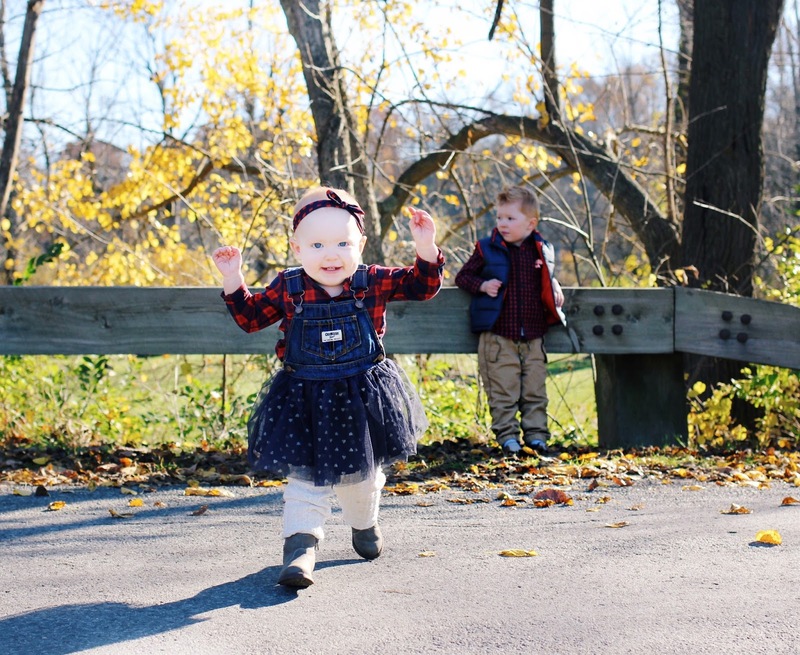 She’s become his little shadow, and it’s the sweetest thing ever. He let’s her tag along most of the time. And when she gets distracted and moves on to the next thing he always seeks her out and brings her back to him. Such a good big brother. 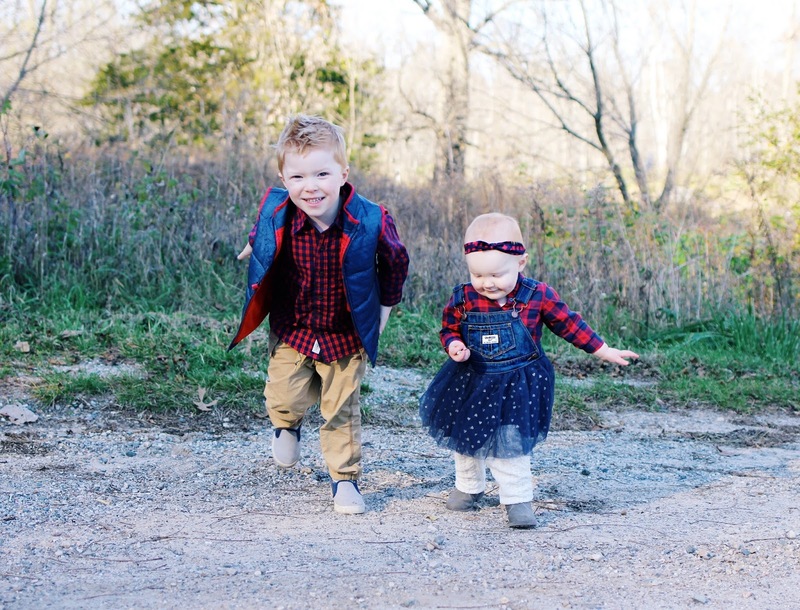 So, needless to say Hudson cannot wait to teach Sadie all about Christmas this year! And I’m excited to watch everything through their eyes. It’s all so much fun. 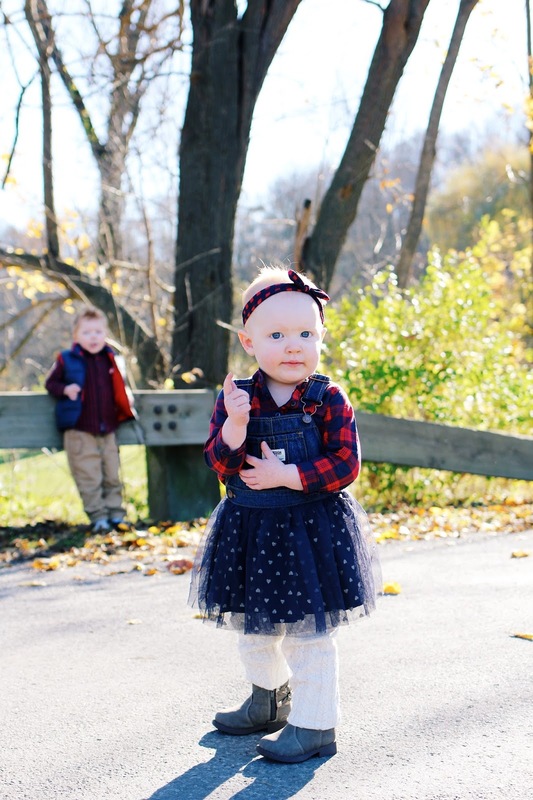 I’m always on the hunt for coordinating outfits for the kids, especially for the holidays. I was THRILLED to mix and match these styles together for such a fun holiday look! 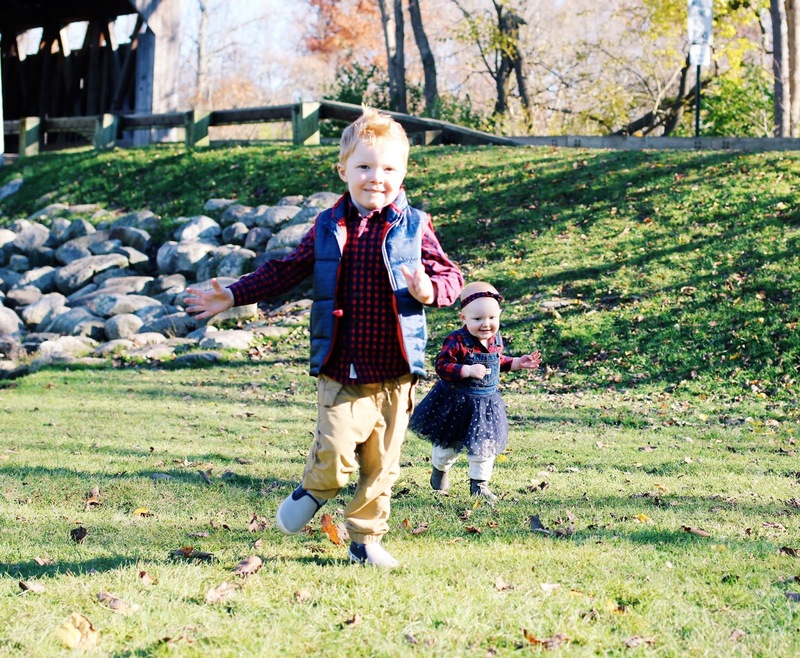 Both kids are dressed head to toe in OshKosh B’gosh clothing…..which holds up so well to our rough and tumble life. 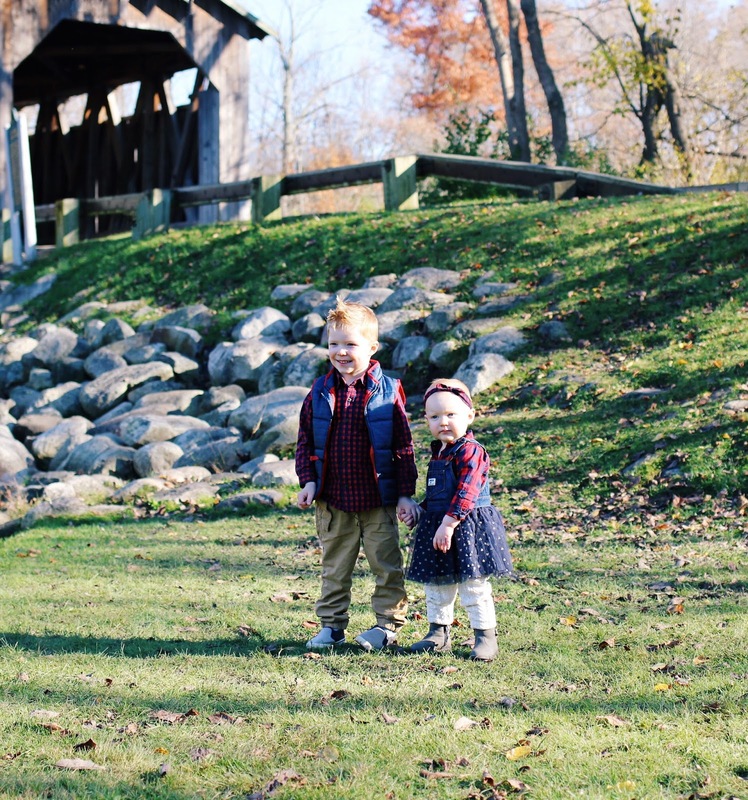 I know I’m biased but aren’t they the cutest? 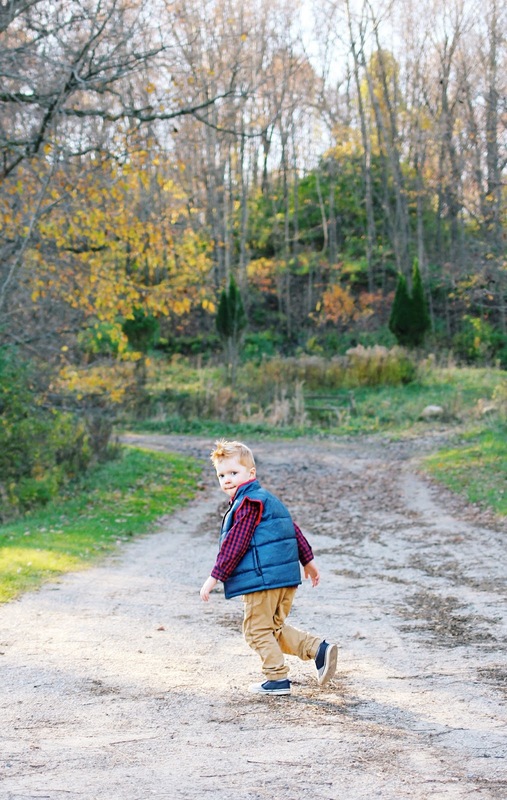 OshKosh B’gosh is our go-to source for stylish, age-appropriate holiday outfits. And I’m dying over how adorable they look! 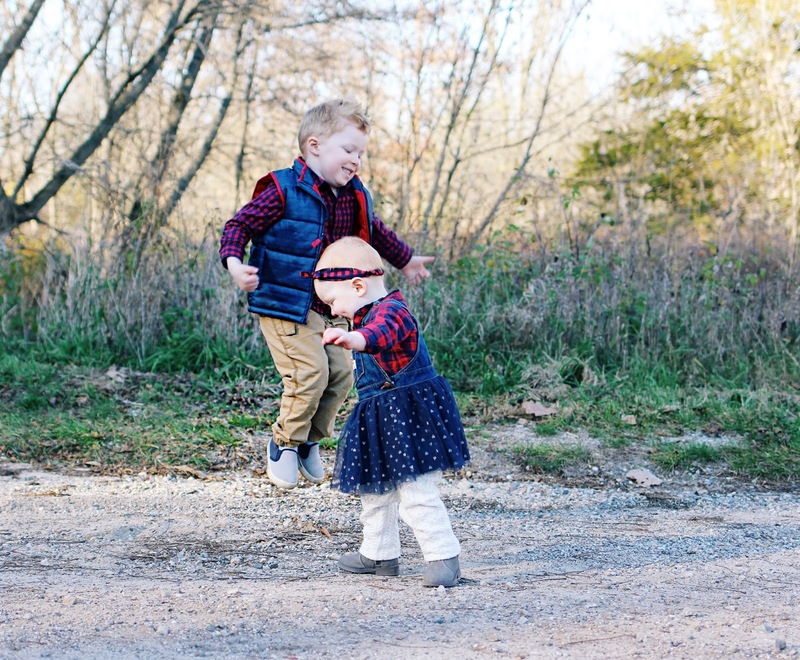 Seriously, having kids makes the holiday season so magical and fun! 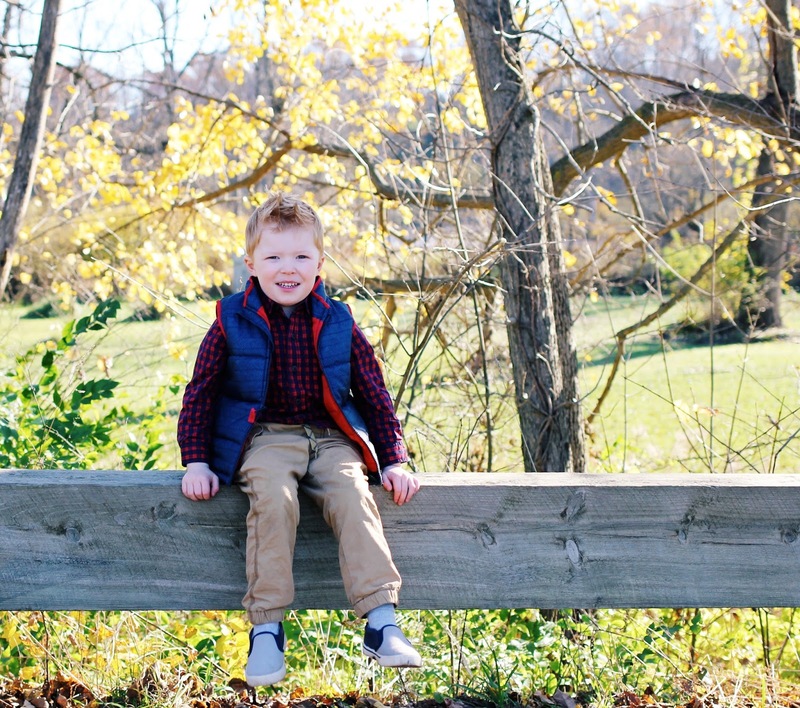 Be sure to check out OshKosh B’gosh this holiday season online or click here to find a store near you! 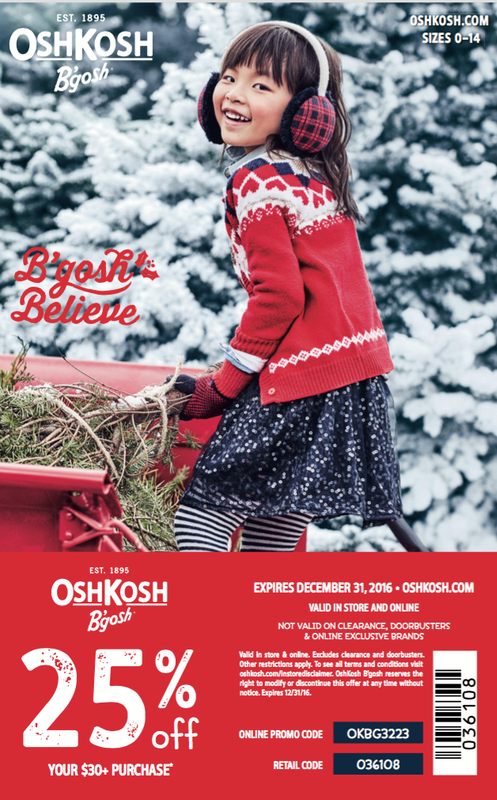 Now through the end of the year, you can save 25% off your $30 purchase at OshKosh B’gosh with the above coupon. Use code “OKBG3223” online or “036108” in store. Happy shopping! 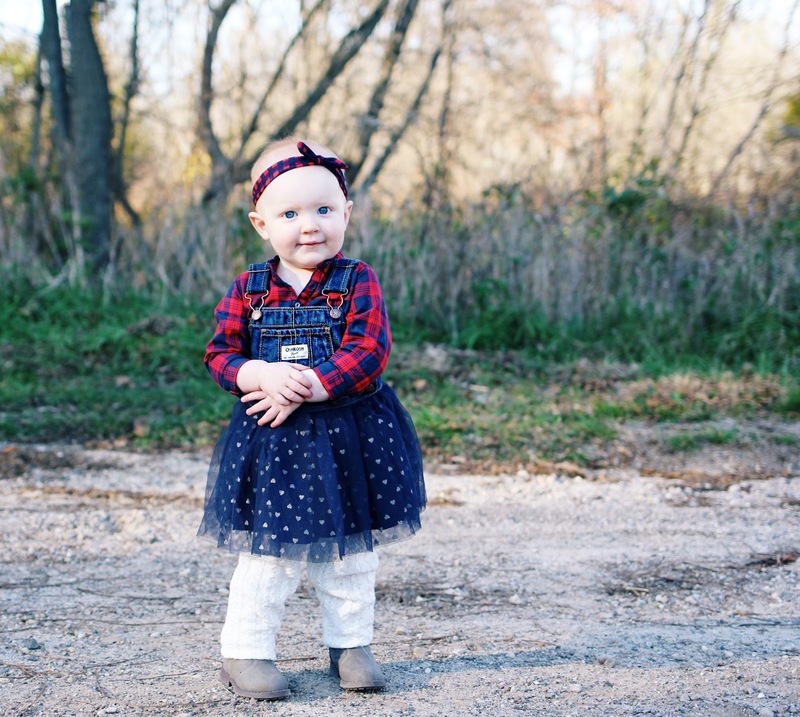 I'm dying over how cute her overalls are!!! 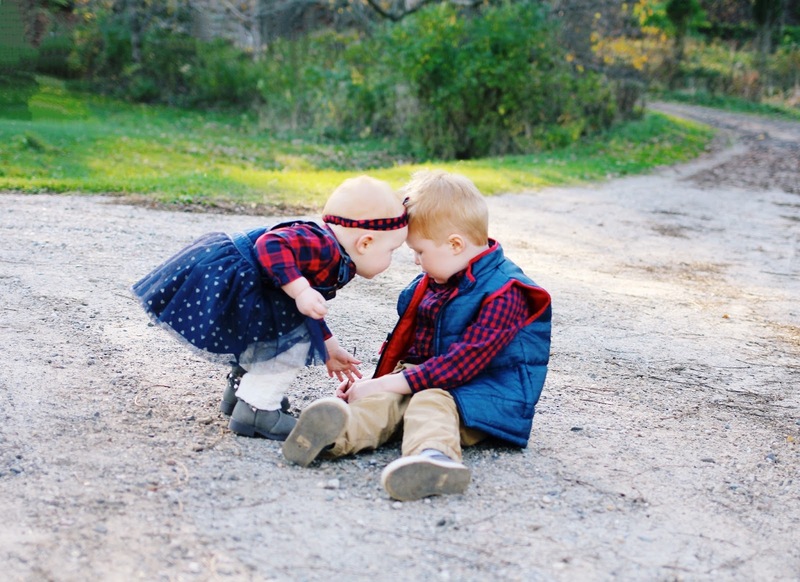 Two of the cutest matching siblings ever!! They are so adorable! What cute outfits! 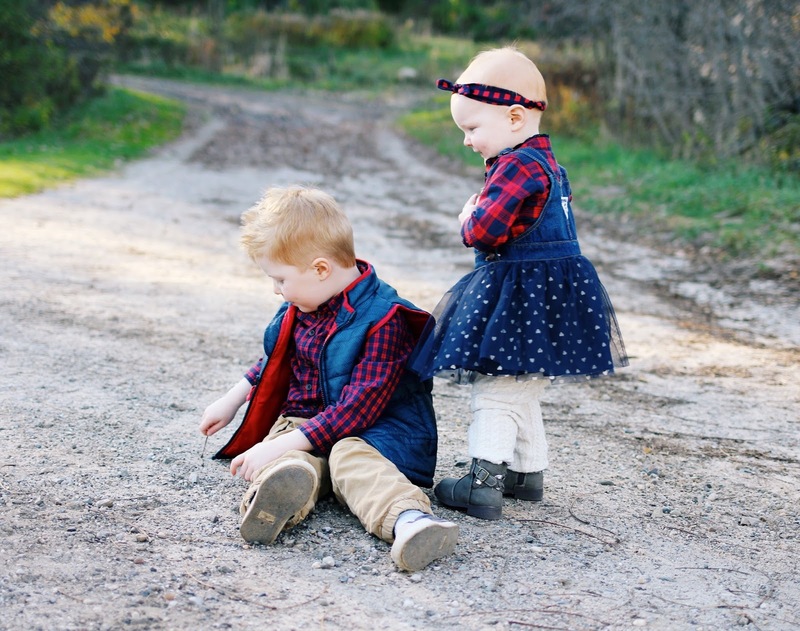 I love the photo of Sadie putting her forehead on Hudson's!